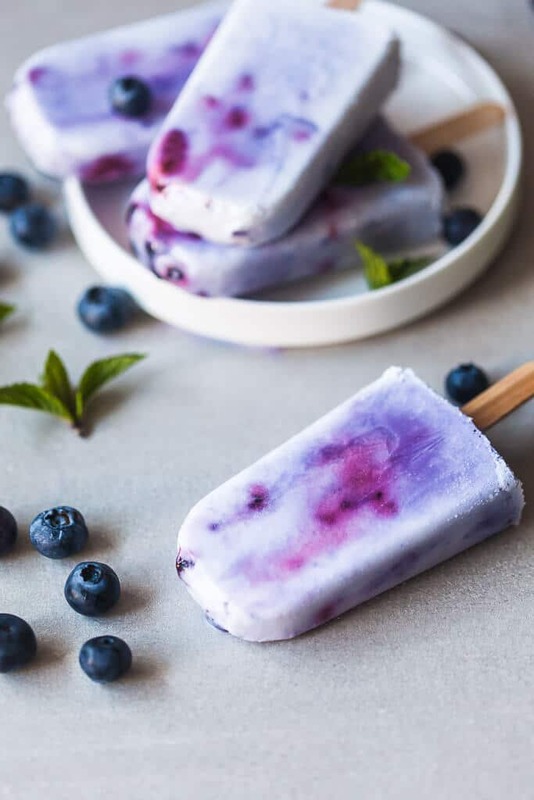 Coconut Blueberry Popsicles are a natural version of the colorful Galaxy Pops! Paleo, Dairy-free, Vegan & Gluten-free. The celebrations, dining out and picnic food also brought up my dairy allergy again, although in a mild reaction, so I’ll need to get back on track ASAP and shift to non-dairy. 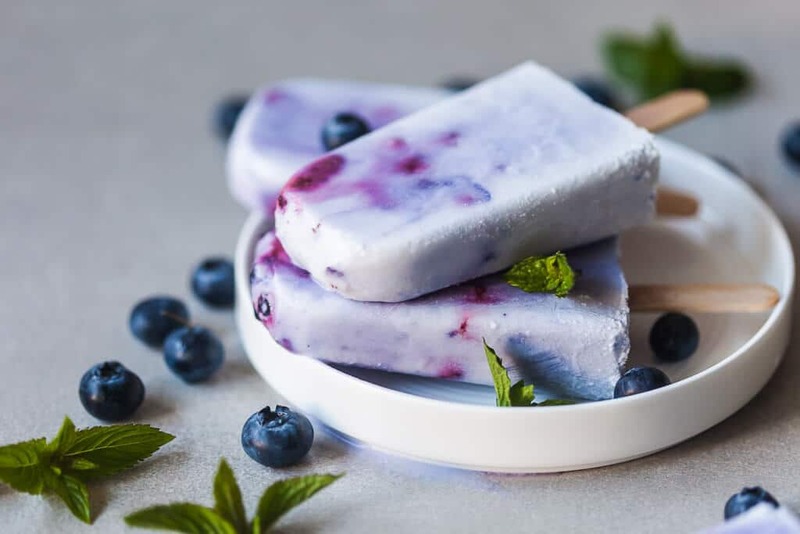 With this in mind, I made these lovely Coconut Blueberry Popsicles, that are bright with pops of color. Aren’t they lovely? These popsicles are vegan and paleo friendly, and you can make them in just about 10 minutes + freeze time. 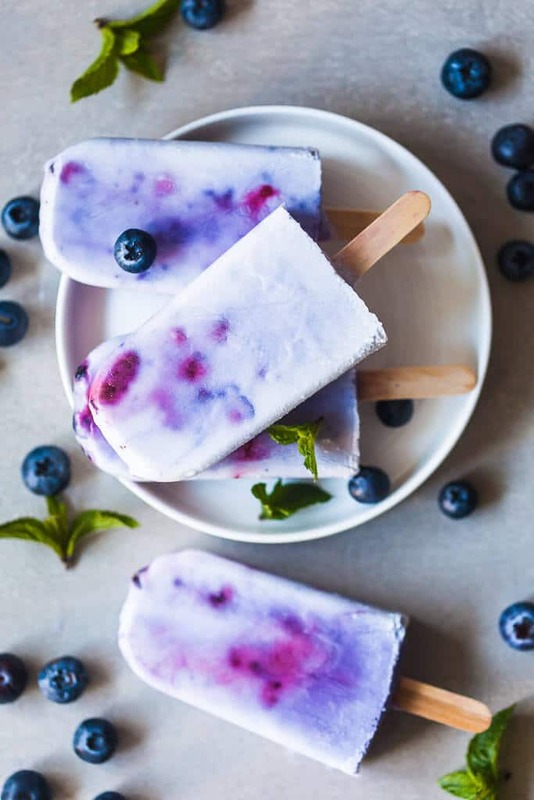 Mitja renamed them “Galaxy Pops” because they do slightly resemble it, don’t you think? 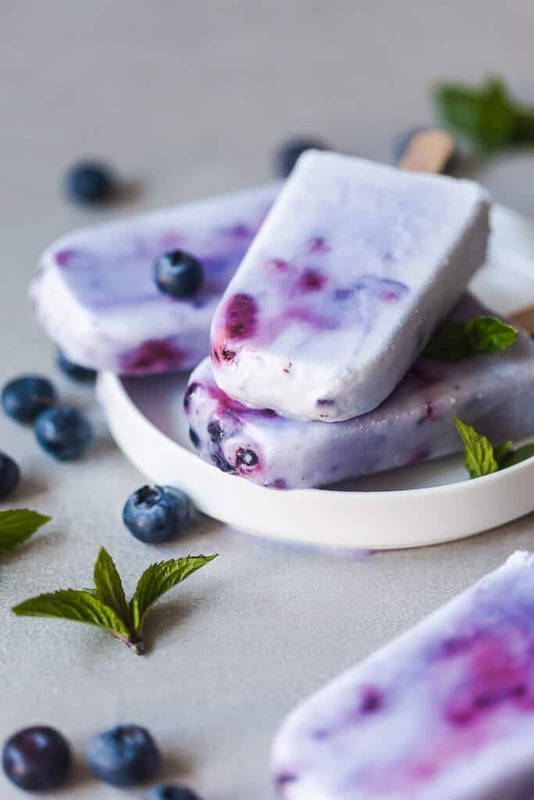 But these pops are made with entirely natural ingredients and therefore are healthy and good for you (as much as any treat is good for you, hehe). Just coconut milk, agave syrup, and blueberries. Mash, mix, freeze and enjoy! In a blender or by hand mix coconut milk and agave syrup. Smash or blend blueberries. It's alright to do it partially and have some whole blueberries left. 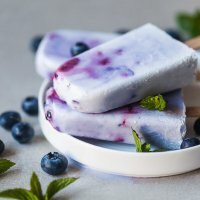 Add mashed blueberries to the coconut milk and pour into popsicle mold. Freeze for at least 2 hours or overnight.